The Community Ecumenical Service Honoring Rev. Dr. Martin Luther King, Jr. held at Second Missionary Baptist Church on January 15, 2018. Dana Wilson, retired UAW 685 Civil Rights Chair and Rev. 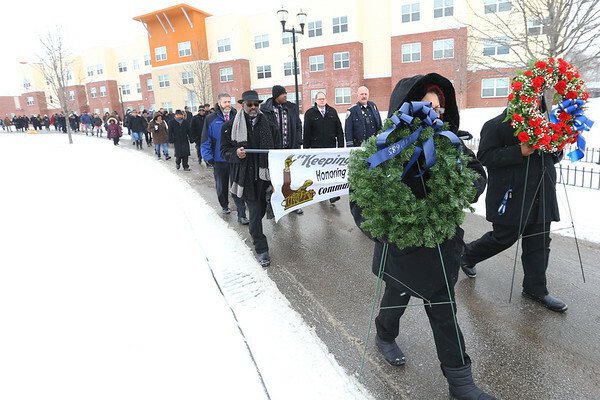 William Smith Jr carry wreaths leading the procession down Apperson Way to the MLK memorial.